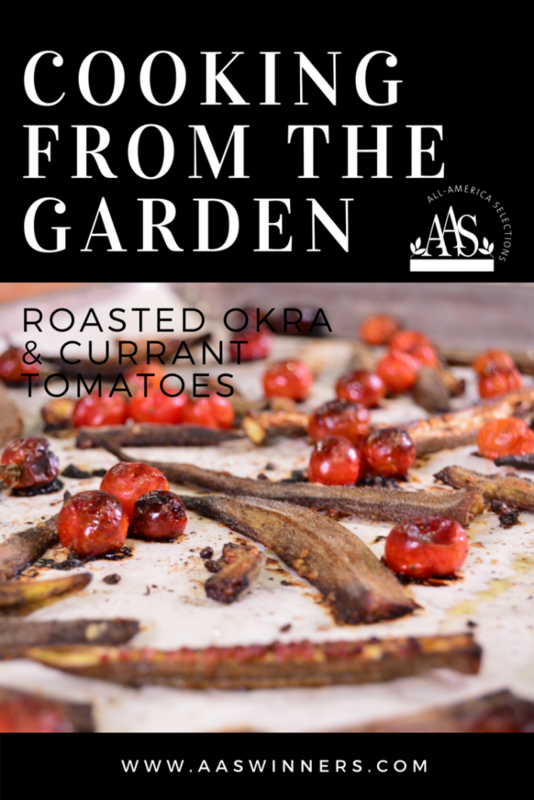 Chef and storyteller Jonathan Bardzik features two AAS Winners, Candle Fire okra and Candyland Red currant tomatoes in a unique roasted vegetable snack. 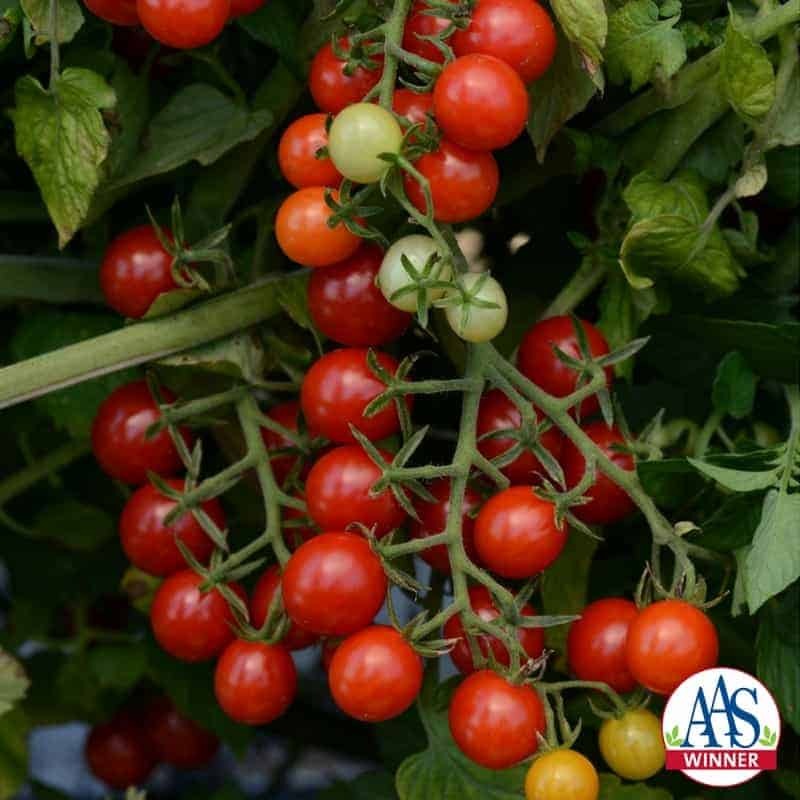 Tomato Candyland Red - 2016 AAS Winner - Pop-In-Your-Mouth dark red, sweet flavored fruit that can be enjoyed throughout the season. 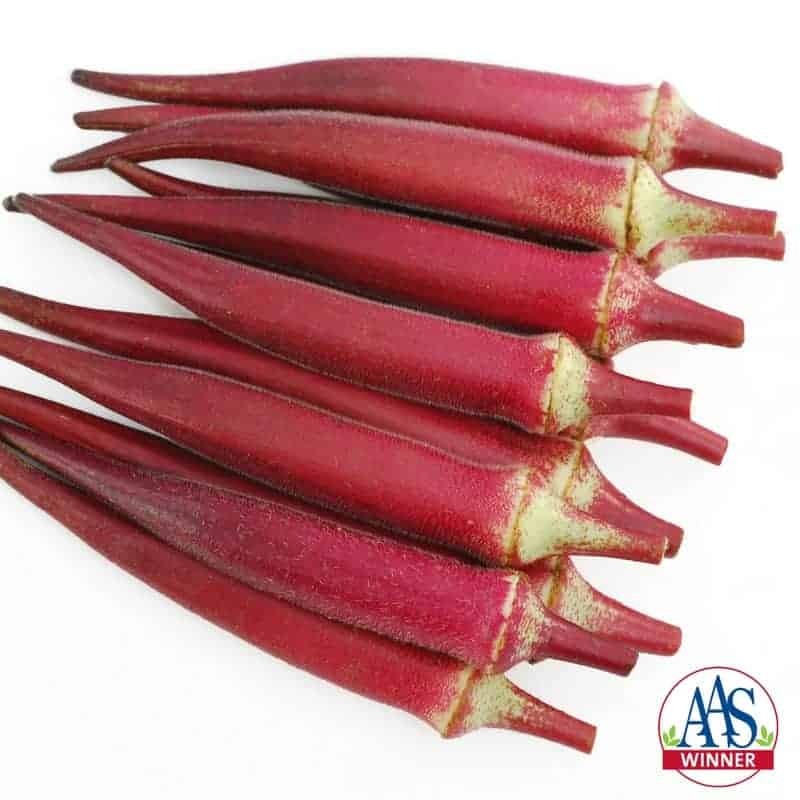 Candle Fire Okra -2017 AAS Winner - A unique red okra with pods that are round, not ribbed, and a brighter red color than the reddish burgundy okras currently available. Solve the okra slime problem by roasting! The final product takes on the crisp texture of potato chips. A perfect summer snack! Change up the spices substituting the Indian Garam Masala blend with garlic powder or chili powder. Slice Candle Fire Okra pods in half lengthwise. Toss with 2 tbs olive oil and 1 tbs Garam Masala. 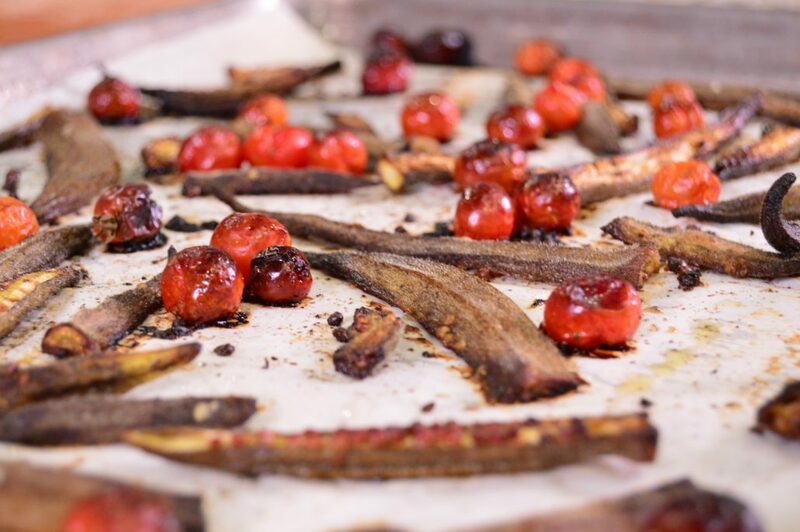 Season with salt and pepper and spread in a single layer on a baking sheet. Place in oven. Toss Candyland Red tomatoes with remaining 2 tbs olive oil and 1 tbs Garam Masala. Season with Salt and pepper. When okra has roasted for 5 minutes, scatter tomatoes on sheet pan and cook for 7-10 minutes longer until Okra is crisp. Enjoy! YUM-O!! And I eat okra lots of ways!! !